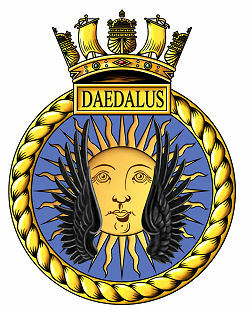 22nd May 1940 - 'DAEDALUS II' transferred to Clayton Hall, Newcastle-under-Lyme. The station is situated 2Â½ miles W. of Hythe and 7 miles West of Folkstone. Southern Railway station at Westonhangar, 2 miles E.
Not known for RNAS. Dedicated instructional workshops established for RNATE. Moved here from RNAS Worthy Down 9.06.39. Embarked in HMS ARK ROYAL 29.07.39. Equipped with 9 Skuas and 3 Rocs. 803 Moved here from RNAS Ford 28.06.39. 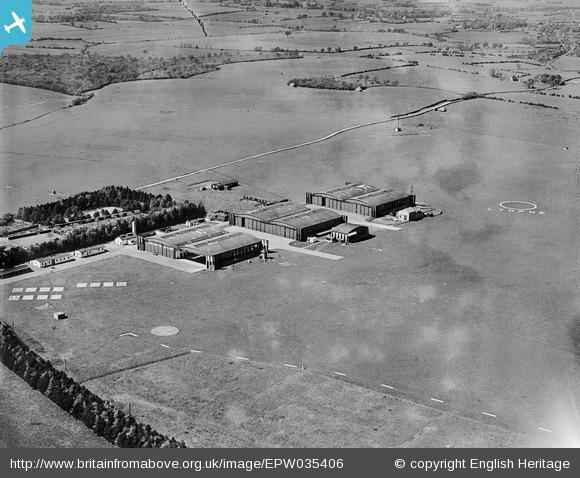 An airfield was established at Lympne in March 1916 for the Royal Flying Corps (RFC), it was vacated and transferred to civil authorise in August 1919 and was used as a civil airport until October 1936 when it was requisition by the Air Ministry. The Cinque Ports Flying Club used the field from 1927 until the start of WW2. The filled had been in use by squadrons of the Royal Auxiliary Air Force (RAuxAF), 600 & 601 (County of London) Squadrons RAuxAF from September 1926 for annual training camps before it was marked for development into a Bomber station. ; the field was on the strength of No. 1 (Bomber) Group from October 1936. Lympne was initially seen as a temporary station and few improvements were carried out. In Novembers 21 and 34 Squadrons moved in, equipped with Hawker Hind aircraft but were to stay for less than a year, 34 Squadron departed on July 12th, and 21 Squadron on August 15th. RAF Lympne was then placed under "Care and Maintenance" in October, before reopening as a Training Command Administration School. In May 1939 the station was transferred to Fighter Command. but was loaned to the Admiralty before any further use was made of the base. 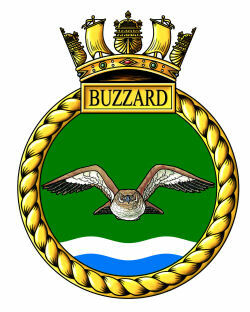 The Royal Navy commissioned the station as H.M.S. BUZZARD, RNAS Lympne on July 1st 1939 as an air station to house disembarked naval squadrons. Only two used the field, 803 Fleet Fighter Squadron had arrived from RNAS Ford with 6 Skuas and 3 Rocs on June 28th and they were followed by 800 Fleet Fighter Squadron which moved here from RNAS Worthy Down July9th also equipped with Skuas and Rocs. Both embarked in HMS ARK ROYAL on July 29th. No other use of the station is recorded until it was paid off to Care & Maintenance Status on September25th. H.M.S. BUZZARD was paid off on that date and the station was held on the books of 'DAEDALUS'. 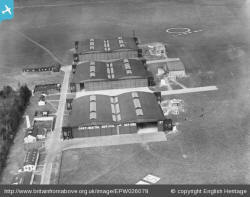 In October 1939 the station reopened as an Royal Navy Aircraft Training Establishment for the trade training of Air Apprentices and Air Fitters. Shortly after the outbreak of war the Admiralty decided to disperse the task of Artificer training from Rosyth, on the Firth of Forth, to several locations around the UK, about 80 trainees arrived at Lympne along with instructors and staff to establish the new school. Machinery and equipment was transported from Rosyth by road and rail. Not all of the station personnel departed with the paying off of HMS BUZZARD, the Navy list for December 1939 (the nearest edition to the departure of BUZZARD) shows that 22 officers were borne on the books of DAEDALUS 'for R.N. Air Station, Lympne'. Also from this date 10 officers are listed as 'For duty with Air Apprentices (L)' - 4 appear to be ex-BUZZARD, the others being appointed from October 1939 onwards. This listing also suggests that the training was originally only for Air Electrical Artificers as no other branch is represented on the instructor appointments. An instructional airframe, Hawker Nimrod K3662 arrived from RNAS Lee-on-Solent on January 12th 1940, a Supermarine Walrus amphibian was also received for the Apprentices to receive hands-on instruction. The school had hardly settled in before the events unfolding across the English Channel impacted upon the Lympne; in the spring of 1940 German forces swept through France and the allied forces were in full retreat. The station was re-opened to flying as an emergency landing ground to receive aircraft evacuating from France and on Sunday May 19th approximately 100 RAF aircrew and ground personnel arrived having hastily abandoned their airfields in France. It became clear to the Admiralty and the Air Ministry that Lympne was no longer safe for Fleet Air Arm use and would soon be needed to help with the defence of Southern England. 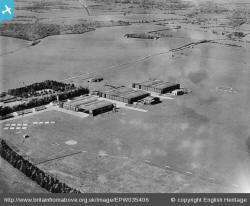 Verbal orders were received from the Admiralty the following day to prepare the RN Aircraft Training Establishment for relocation to Newcastle-under-Lyme, Stafford-shire, the airfield was to be returned to the RAF for use as a fighter station as soon as possible. The move was a speedy one; the school had vacated Lympne by the May 23rd, once again transporting their equipment and machinery across the country to set up shop in a new location. t became clear to the Admiralty and the Air Ministry that Lympne was no longer safe for Fleet Air Arm use and would soon be needed to help with the defence of Southern England. 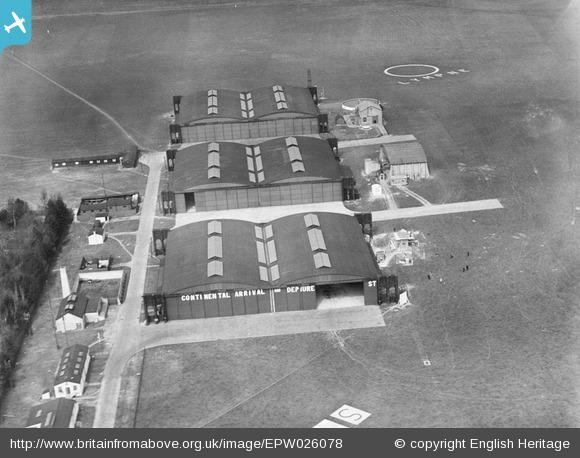 Verbal orders were received from the Admiralty the following day to prepare the RN Aircraft Training Establishment for relocation to Newcastle-under-Lyme, Stafford-shire, the airfield was to be returned to the RAF for use as a fighter station as soon as possible. The move was a speedy one; the school had vacated Lympne by the May 23rd, once again transporting their equipment and machinery across the country to set up shop in a new location. Lympne was handed over to the RAF on May 24th 1940 for use by 11 group.